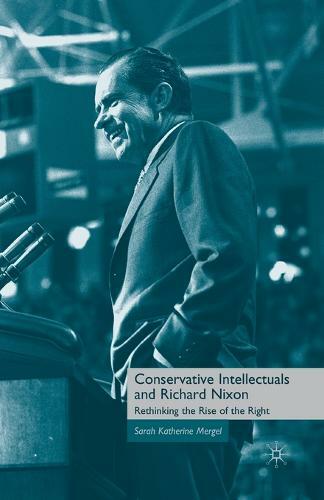 Conservative Intellectuals and Richard Nixon explores the relationship between postwar conservatives and the president from 1968 to 1974. Seemingly casting those years out of their history, conservatives have never fully explored how Richard Nixon affected their movement. They fail to realize the extent his presidency helped refocus their fight against liberalism and communism. Mergel uses the Nixon years as a window into the Right s effort to turn ideology into successful politics. It combines an assessment of Nixon s presidency through the eyes of conservative intellectuals with an attempt to understand what the Right gained from its experience with Nixon.